Treat your body to a green #juice to get you through the day. 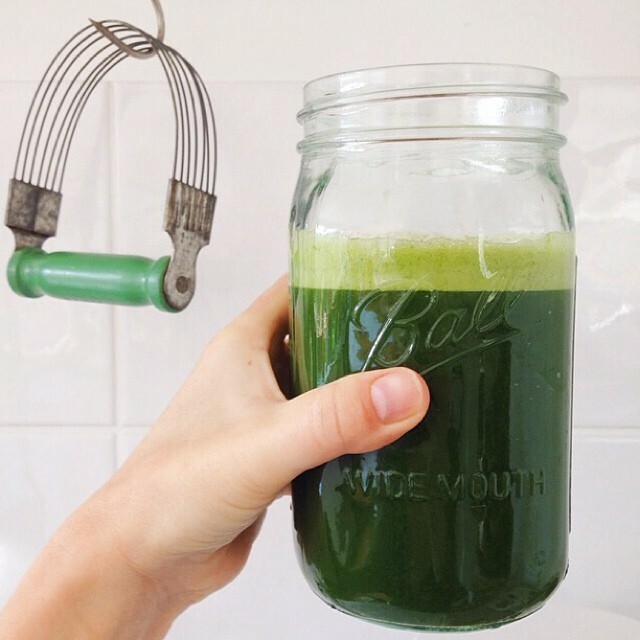 "I am obsessed with vegetable juice - this one has carrots, kale, lettuce, cucumber, celery, tumeric & lemon. I find lemon cuts through the green taste and makes it totally drinkable!" @farmpretty Thanks for sharing with feedfeed! Remember, if you have a favorite recipe, a kitchen story, a dish, or a dessert you make and want to share with us tag your post "#feedfeed @thefeedfeed. ⭐️Check out our site for more inspiration and sign up to stay in the loop.